Let’s face it, we can’t all afford to start off with a multi-million dollar studio or a live sound rig worthy of Carnegie Hall. As much as we all dream of owning boutique and high-end microphones, it’s not always realistic for most of our budgets. Even if you can afford some of the pricier microphones on the market, is it really worth taking them to your local dive bar gig or basement practice sessions? Whether it’s budget or convenience, most musicians, sound guys, or recording techs will keep a collection of good quality, budget microphones on hand. But not all mics are created equal, and you should do your research when buying any microphone. Everyone has a different opinion on the best cheap microphones, and your choice should depend on what you’re recording and the kind of sound you’re going for. To help you navigate the different options, we’ve put together a list of the best and most reliable affordable microphones out there today. When it comes to affordability, dynamic microphones are the most common. Basically, a dynamic microphone has a thin membrane attached to a coil. These two pieces are surrounded by a magnet. When the microphone picks up sound, the membrane and coil move and create an electromagnetic signal that can be transferred to your sound system. What’s most important to understand is that not only are dynamic mics usually the most affordable, they’re also incredibly durable. Because of their durability, they tend to be the most common choice for live sound. But, they aren’t considered to be as accurate as the other kinds of microphones. BEST FOR: Gigs and live performances. Because of their wide frequency range and high sensitivity, condenser microphones are a great choice for recording in a studio. Condenser microphones create sound with an electrically charged plate next to a solid capacitor placed inside the microphone capsule. When sound enters the microphone, the diaphragm moves and the backplate stays still. The changing distance between the two plates creates an electrical signal which is a recreation of the original sound source. The best budget condenser microphones are a nice middle ground between ribbon and dynamic microphones. You’ll typically see them being used in the studio, though you may see them onstage for drum overheads. Condensers are relatively durable, but not quite as durable as dynamic microphones (although newer solid state condensers are right up there with the most durable dynamic microphones). Condenser mics need a power source (either phantom power or batteries) to strengthen the signal. Phantom power will typically come from an interface, mixer, or other external phantom power supplier. If you’re trying to stick to a budget, this will be something you’ll need to consider. BEST FOR: Recording and studio work (vocals, acoustic instruments, percussion, etc.). Also great for film production. Ribbon microphones are actually the oldest form of microphone technology. Their construction is very simple, but they’re often built by hand because the components are so delicate. Ribbon microphones contain a very thin piece of corrugated tin foil placed between two high powered, permanently charged magnets. The resulting electrical signal then goes through a transformer, that steps up the power to a usable level for amplification. Many people consider ribbon microphones to be the most authentic-sounding type of microphone. But, they need a lot of gain to get a usable signal. They are also incredibly delicate and very easy to damage. In fact, the foil that makes a ribbon can disintegrate if rubbed between your fingers. Also, some ribbons can be damaged if you accidentally apply phantom power to the microphone. BEST FOR: Recording and studio work. Like buying any microphone, make sure that you can get a sound that works well with your voice or instrument. There are some tonal problems that can be more prevalent in lower priced mics. Affordable mics often have a lot of proximity effect. Proximity effect happens when the singer is too close to the microphone and the lower register becomes exaggerated. This can be good or bad. For some styles, like crooners, proximity effect can be helpful. Other times, it can make the sound source come across as muddy and indistinct. You’ll also want to pay attention to plosive sounds like “p”, “ck”, or “t”. In lower-quality mics, these sounds may create a severe popping noise. You won’t be saving any money on microphones if you need to buy ten in a year because they’re not durable. Even if the company is willing to send you a replacement, it’s not worth worrying about the microphone breaking in the middle of a gig or recording session. There are plenty of cheap microphones that will hold up under normal use and abuse, but the most durable mics tend to be more expensive. You can sacrifice a little on durability if you know that the microphone will rarely or never leave your home studio where it is well protected. On the other hand, if you are going to be consistently on the road, you may want to consider letting go of some sound quality in lieu of a microphone that’s built like a tank. Last, but not least, make sure to look for consistency. Some companies will have better quality control than others. It’s important to do your research and see if the model that you’re buying performs consistently well or if they have as many lemons as they do gems. The SM57 and SM58 are synonymous with high quality, durable microphones. You’ll see them everywhere from your local church to Madison Square Garden. For the price, these microphones are incredible. They share the same capsule but have different grills. The SM57 is traditionally used for instruments, while the SM58 is used for vocals. 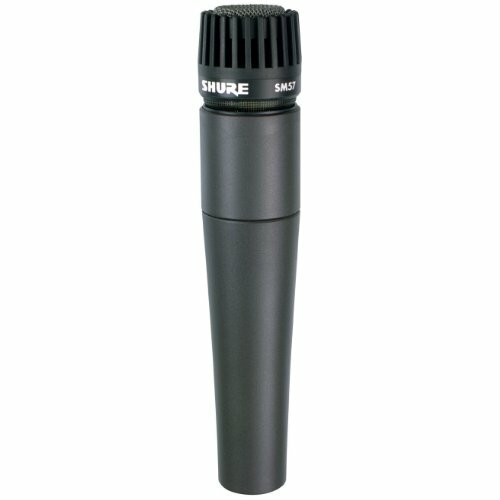 The SM57/58 are dynamic microphones with very little proximity effect. Their tone is very precise and accurate. These microphones are probably most famous for their durability. Whether they’re dropped, knocked, or rolling around in the back of a van, they’re hard to take out of commission. Anybody involved in sound has a couple of these laying around. You’ll be surprised how much you can accomplish with these little mics. In fact, in my first recordings, we chose to use the SM57 to record mandolin, even though we had access to microphones that cost twenty times as much. The AKG D5 is my personal favorite vocal microphone. It has a supercardioid polar pattern, which means that it’s very precise and doesn’t pick up excess noise around the sound source. I’ve used this mic for the last five years on very noisy stages with great success. The AKG D5 does have more proximity effect than some other microphones, so you’ll want to make sure that you have a little space between you and the mic. This mic is also incredibly durable – I’ve witnessed them being thrown across the stage by five-year-old kids without any damage. In a pinch, I’ve also used this microphone on instruments when my main instrument mics weren’t around. They do well on fiddle, banjo, ukulele, and mandolin. Since its frequency response is only 70Hz to 20KHz I wouldn’t use it on anything with lower tones than a guitar. Again, the AKG D5 really shines when recording vocals, and it’s easily one of the best cheap vocal mics out there. The MXL 770 is sort of an open secret among many sound engineers today. 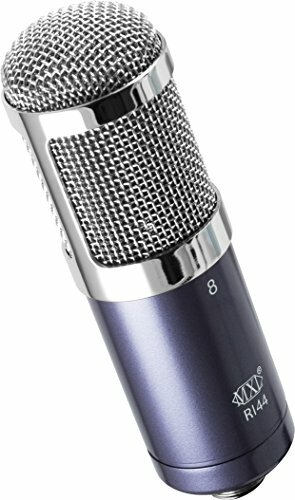 I’ve recommended this microphone before and will continue to recommend it as long as MXL is able to continue producing such a good microphone at such a low price. The MXL 770 is a condenser microphone with a -10 dB bass roll off switch. It’s very sensitive, and does well both live and in the studio. Pound for pound, it’s one of the best cheap recording microphones out there. To be fair, this microphone has a pretty good amount of coloration in its tone. There’s a little boost around the low end and another small boost around the high end. Because of this, it’s not quite as versatile as some of the other microphones on this list and may not be perfect on your voice. I’ve found that I like this microphone on female voices because that low-end boost can add a little warmth. Since this microphone is a condenser, it needs some kind of a phantom power source, which you’ll want to consider if you’re trying to stay on a budget. It’s also not as durable as the dynamic microphones on the list so this is not the microphone to use if it’s going to get thrown around. 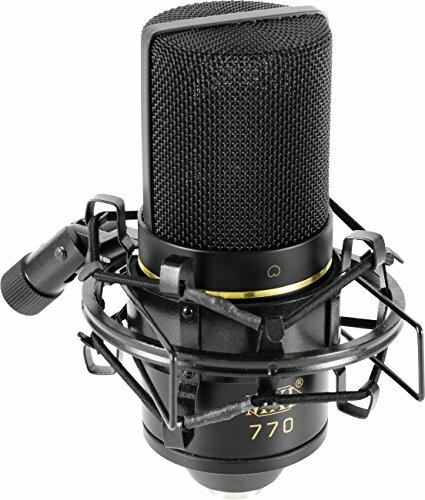 But if you’re looking for a good, cheap condenser microphone for recording your practice sessions – or even use in studio sessions – the MXL 770 is a good choice. The Audio Technica 2035 is a little more expensive than some of the other microphones on the list, but it’s just a wonderful condenser microphone and still costs less than 200 dollars. The Audio Technica 2035 is overall my favorite cheap microphone for recording, but it can also hold up to live use. Audio Technica has an entire line of similar microphones that will grow with your budget but the 2035 is a respectable place to start. It also features a -10db pad and a bass roll off switch. It’s shock mount isn’t necessarily my favorite design, but for the price it’s really nothing to complain about. The strongest point for this mic is its consistency. 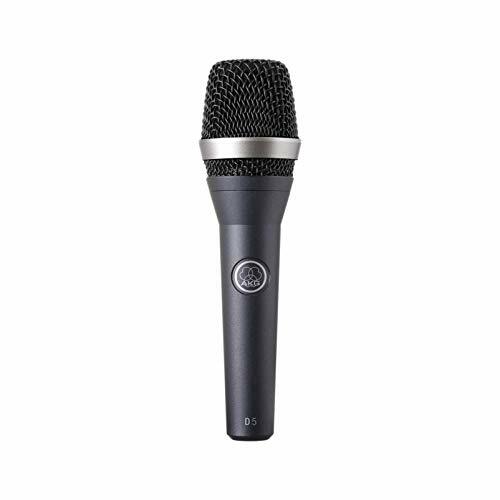 I’ve used this microphone and other microphones from Audio Technica in different studios and live gigs and have found them to be impressively reliable. Tonally, they’re very even across the entire spectrum. If you’re finding the MXL gives you more color than what you’re looking for, the Audio Technica is going to be a good option for you. The 2035 is also very responsive, which can be both good and bad. If you’re recording in a noisy environment, this microphone is probably going to pick up all the excess sound. Like the MXL though, be aware that you will have to invest in a phantom power supply. If you love the sound of ribbon microphones but thought you just couldn’t afford one, take a look at the MXL R144. This is a budget ribbon mic that delivers sound on par with mics costing many times as much. I’ve used this microphone a few times when recording vocals and a variety of acoustic instruments, and the sound is just great – accurate and warm. If you’re a tinkerer and know how to solder, this microphone may be perfect for you. Ribbon microphones aren’t too difficult to modify, and when you have the time and money you can easily upgrade the transformer and ribbon to make an even better sounding mic. The MXL R144 is good out of the box, but unlike some of the others this mic is able to grow. Ribbon microphones have a natural figure eight pattern. This means that the mic will pick up from both in front and in back. Unless you’re on a really quiet stage, this microphone can be difficult to use in a live setting. You’ll also want to remember that Ribbon microphones are very sensitive and can be damaged if dropped or even if you apply phantom power to them. Samson CO2 Condenser Microphone Pair. Two Great Mics for the Price of One. Blue Spark Cardioid Condenser Microphone. Solid condenser mic with built-in phantom power. Behringer C-1. Super affordable condenser mic for budget recording. Sennheiser E906 SuperCardioid Dynamic Mic. Great for guitar amps. CAD M-179 Variable-Pattern Condenser Mic. Versatile mic at an affordable price. Whether you’re just starting to build your microphone collection or you’re looking for a good set of mics to take on the road, there are several great-sounding microphones out there for an affordable price. 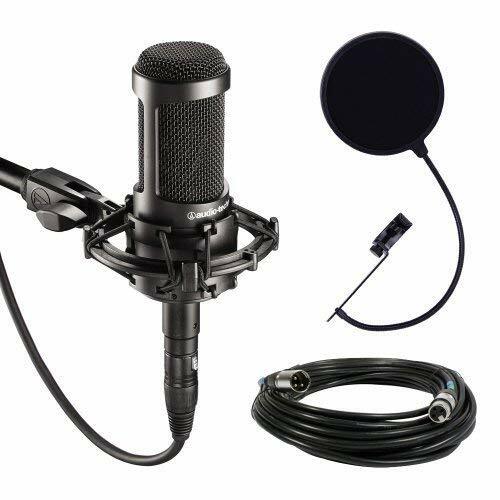 For less than two hundred dollars you can buy dynamics, condenser, and even ribbon microphones. Before you start trying to invest in good cheap microphones, make sure that you have an idea of what you need from your mics. Decide what type of microphone is going to best suit your personal needs and the sound you’re going for. Overall, make sure to consider tone, durability, and consistency. This list should help you get a starting point when choosing your mics, but as with any musical purchase there may be trial and error involved before you find the best inexpensive microphone for your needs. The way I deal with the noise problems some of these sensitive microphones have is using egg crate like acoustic material to stop sound reverberation or using panels. If you’re serious about microphone quality, even the cheap ones are sensitive enough to pick up echoes and noise – This has been a problem for me and numerous others either involved in music or podcasts. Make sure you find some good acoustic panels to go with the microphone, put them around the room to help noise problems. Great tip Drew, thanks for commenting!